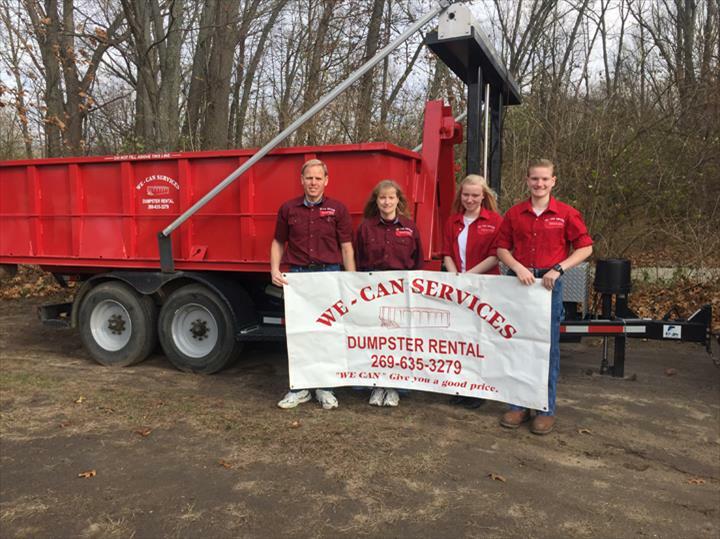 We-Can Services LLC, in Niles, MI, is the new family owned and operated dumpster rental company serving Niles, MI and a 20 mile radius since 2017. 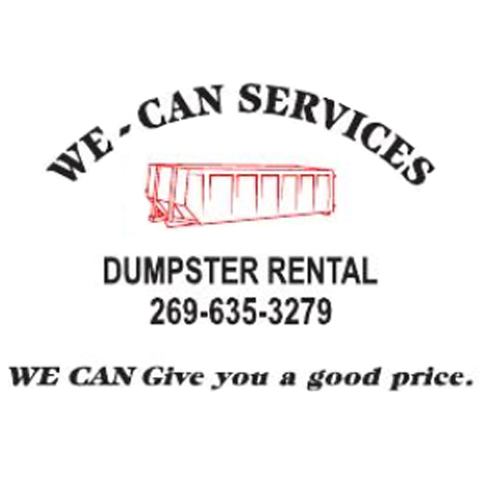 We specialize in dumpster rentals, garbage and trash removal, scrap metal recycling and much more. We will do our best to treat you like family. Our family will deal directly with you in every phase of the transaction. 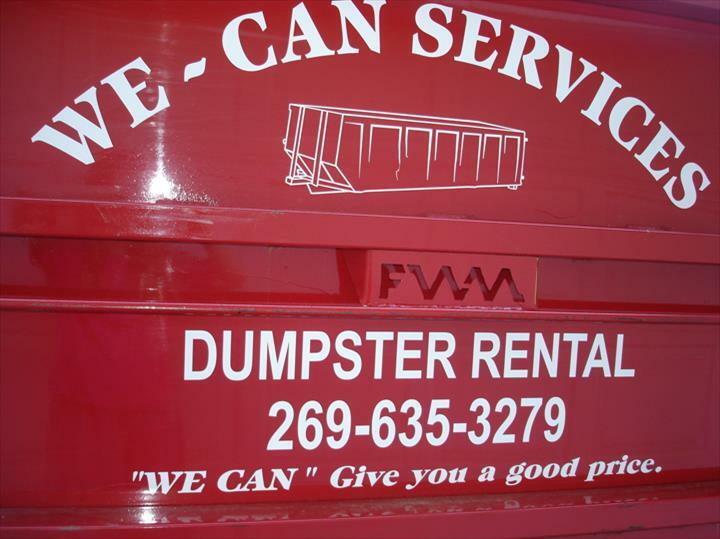 "We-Can" Give you a good price. 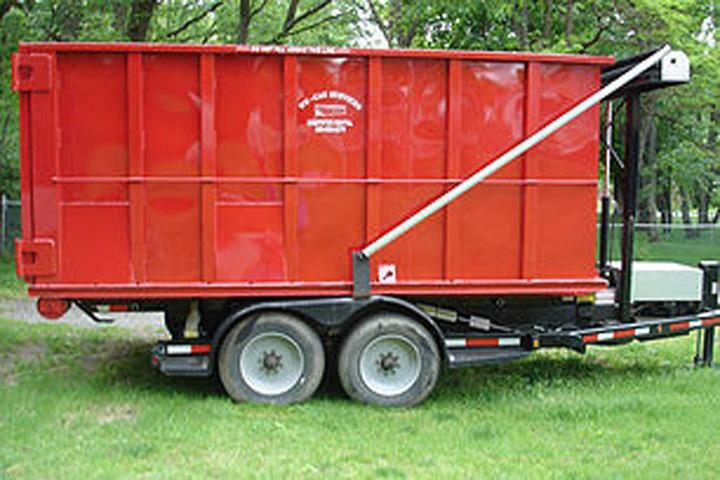 We also set dumpster to the farmer or land owner that has scrap iron that needs to be hauled. In most cases we pay you for large amounts. 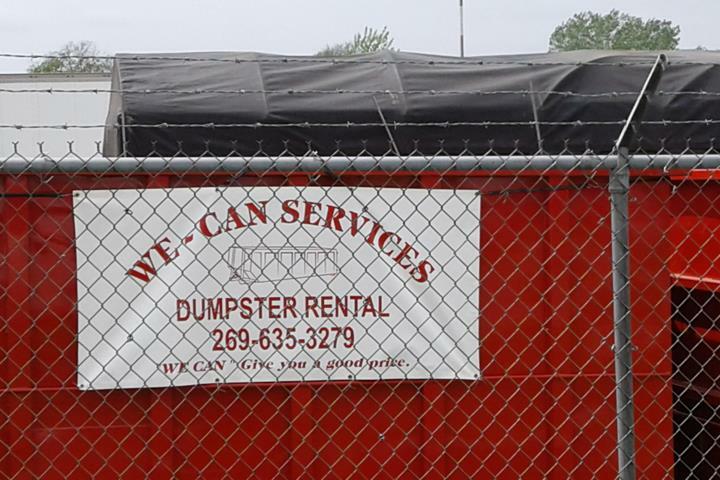 Maybe you own a business and need a scrap or trash dumpster. Maybe you have a need for both. As a small business we would like to personally help you, and you will be helping us. 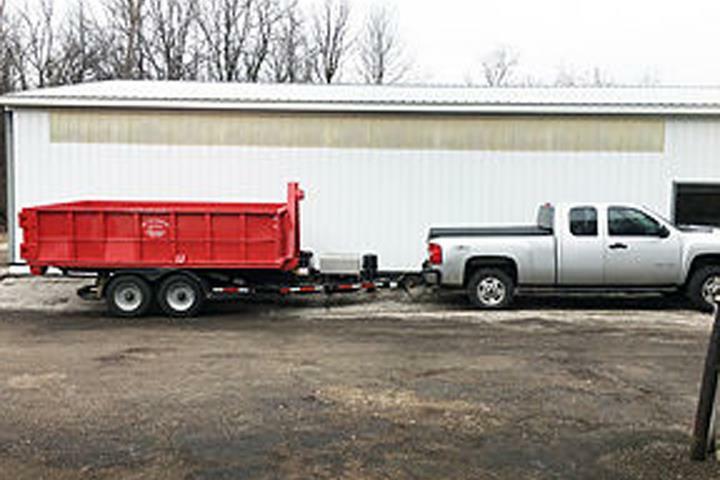 Maybe you have scrap at home or are a business and need it hauled away, but can't load it, or have a dumpster because of room. We have both home owners and small business's that we come to and load the scrap and are still able to pay them. 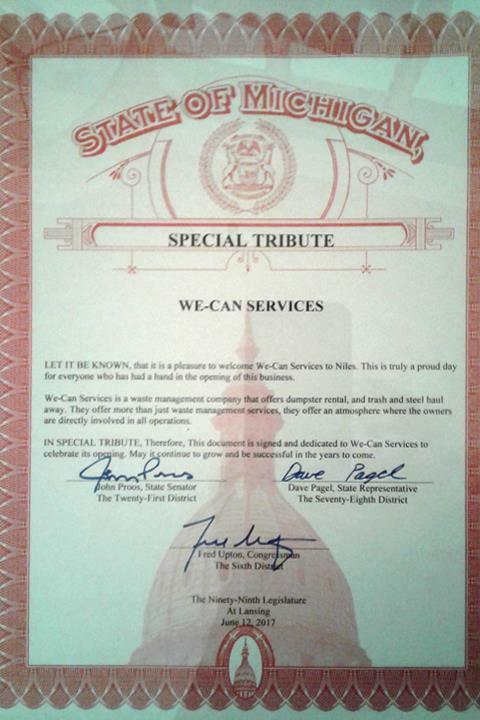 For more information, contact We-Can Services, LLC in Niles, MI. Call 269-635-3279. We were Weegens Bros. Salvage Inc. from 1998 to 2010. Established in 2017. We-Can Services, LLC is proud to serve our local area which includes Niles, Dowagiac, South Bend, IN, and up to 25 Miles of Niles. 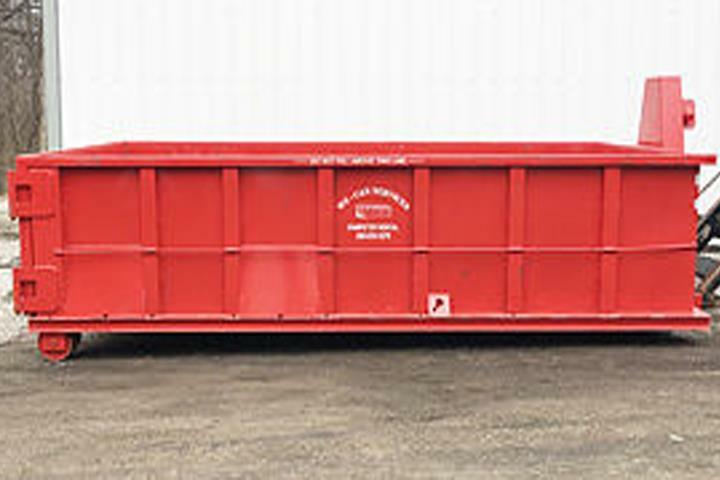 We specialize in Dumpster Rental, Scrap Metal Recycling, and Garbage and Trash Removal since 2017.